Winston-Salem, N.C., and Seattle. Noting the increasing trend of corporate tie-ups with motorcycle manufacturers, BMW Motorrad will partner with two of the world’s most well-known brands for one-of-a-kind limited edition versions of the iconic R 1250 GS and RT motorcycles. 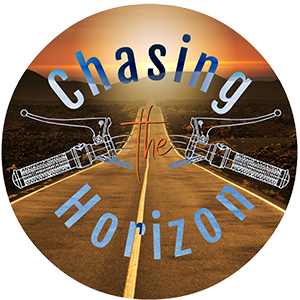 RJ Reynolds Tobacco Company, an American manufacturer and current owner of the Camel brand of cigarettes, earns US $75,000,000 a year and their marketing efforts reach tens of thousands of smokers who have yet to begin riding motorcycles. 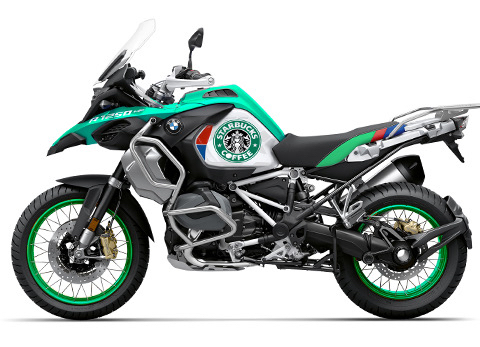 The graphics package on the Starbucks R 1250 GS is constructed with special adhesives tested and approved by the Germany Army enabling the colors to stay true after hundreds of hours in parking lots, and newly-designed side panels repel dust and the disapproving looks of French grandmeres. 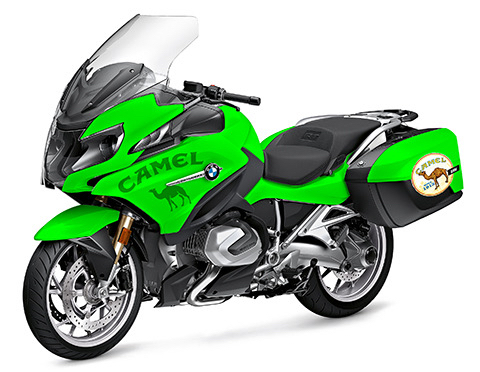 BMW Motorrad hasn’t announced pricing yet, but expect these special, limited-edition motorcycles to command at least a 10 to 15 percent premium over the already reasonable price of a brand-new R 1250 motorcycle. Dealers expect these to hit showroom floors as soon as 500 of each model have been ordered.